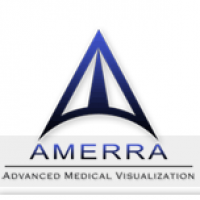 Amerra is a Houston-based medical visualization company specializing in high-quality 3D animation, illustration, and web-based learning platforms for the life science industry. Our blueprint for success is rooted in experience gained from working with world-renowned physicians and scientists at the Texas Medical Center, the world’s largest center for patient care, research and education. We help convey complex information ranging from surgical techniques to mechanisms of action in a revolutionary way. Our clients worldwide succeed in their communication efforts by utilizing our cost-effective solutions that enhance learning. Our team consists of multi-talented individuals with advanced backgrounds in medical animation, medical and healthcare marketing, and software programming. We take considerable pride in bringing concepts to life in the form of visual presentations that relate to multiple audiences.